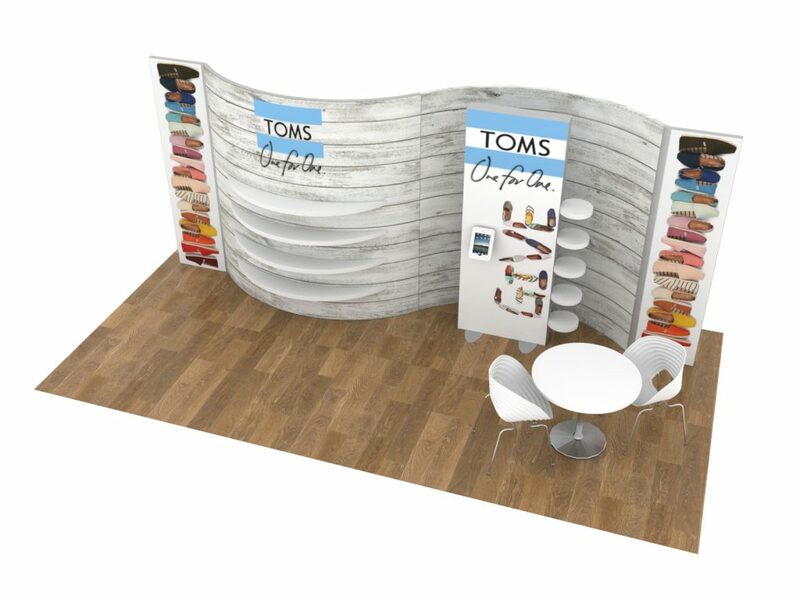 When you ring up your custom exhibit house and order a new custom tradeshow exhibit, do you ever consider your company’s sustainability initiative? Of course, there are a lot of things that can go into a company-wide sustainability initiative, such as having it as part of your company mission, doing your best to reduce waste through recycling, using less power, automate workflow or whatever else that may fit, making sure your employees are engaged in the process, and having ways to measure the effectiveness of the program so you can show it off to both employees and the public. But do you consider how a new exhibit can possibly help in your efforts? There are a number of ways to use the opportunity of a new exhibit project as a part of your sustainability efforts. That gives them a chance to show their stuff. In my experience, it’s rarely asked. But it is occasionally brought up, particularly in regard to responding to an RFP. The more formalized the process, it seems, the better the chance to have the question pop up. That’s where a company can fully respond to those concerns. There have been some occasions when the question is asked as part of the conversation leading up to the sale, or as part of the project, but it is rarer in my experience. Which is a shame. I think the buying / selling dance is a great chance (often a missed chance) to explore ways in which an exhibit company uses sustainability efforts to great effect. For example, we often work with Classic Exhibits, one of the premier exhibit builders in the nation. They’re well-known in the industry for the depth and breadth of their sustainable practices. Just one example: aluminum is smelted and extruded locally in Portland, not shipped in, and recycled a short distance away to keep transportation costs minimal. Their approach to sustainability includes the ability to recycle everything except Sintra. That includes wood, aluminum and other metal, paper, foam, clear film and clear film plastic. All except wood is recycled at no cost. Another Portland example, Boothster, uses building materials that are very easy to recycle: carboard tubes, cardboard-printed pieces, bamboo banner stands and so on. They position their company as builders that fully adhere to the practices for sustainability. Another builder we work with at TradeshowGuy Exhibits, Eco-Systems Sustainable Exhibits, approachas the design and fabrication of exhibits using materials such as recycled aluminum extrusions, LED lighting, ECO-glass made from 100% post-industrial recycled content, bamboo plywood, FSC certified wood, plastic shipping cases made from recycled plastics and are 100% recyclable. Graphics are printed on ECO-board, Paradise fabric (made from 100% recycled soda bottles), and finishes are water-based low VOC (volatile organic compound) or VOD-free, and Greenguard certified. 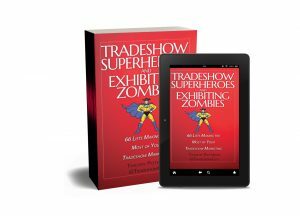 All of these go a long way to making your tradeshow investment dollars be a part of your commitment to a company-side sustainability initiative.